A new collaboration between the Milstein Cord Blood Center at New York Blood Center (NYBC; NY, USA) and University of California, Davis (UC Davis) Health System (CA, USA) has been announced, to be funded by the Howard and Abby Milstein Foundation. The partnership aims to manufacture specialized stem cell lines for repair and regeneration of retina, kidney, lung and liver tissue; and for treatment of neurodegenerative disorders, including Parkinson's, Alzheimer's and Huntington's disease. The initiative will be led by Pablo Rubinstein, vice president of NYBC and program director of National Cord Blood Program (NCBP) at the Milstein Cord Blood Center, and Jan Nolta, director of the UC Davis Stem Cell Program and the UC Davis Institute for Regenerative Cures. The 2-year initiative will see UC Davis produce iPSCs from homozygous units from NYBC’s umbilical cord blood bank. NYBC holds the largest public cord repository in the USA, including a rare collection of homozygous units that could produce iPSC lines capable of making any tissue, and of being matched to a large number of people. "This partnership signals the next step in the advancement of regenerative medicine, which has already saved thousands of lives worldwide, with the potential to save many millions more", commented Howard P Milstein, chairman of the Board of NYBC. Commenting further, Nolta explained: "What is exciting about this collaboration is that we are working on therapeutic stem cells whose genetic make-up may avoid the problem of transplant immune rejection and thus could benefit many patients of different ages, sexes and racial groups." Utilizing their Good Manufacturing Practice (GMP) facility in Sacramento, UC Davis scientists intend to produce cell lines that can be used as a source material for developing new therapeutics for previously untreatable diseases and conditions.They expect that generation of 100 iPSC lines from homozygous cord blood units could provide a match for approximately 80% of Americans of European descent and 50–60% of the majority of other populations in the USA. 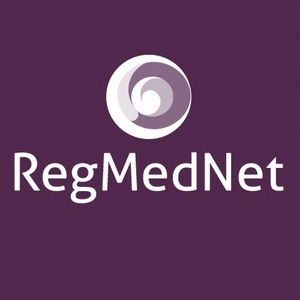 RegMedNet is a networking site where users can share their knowledge and insights. This profile will share some content and updates from the RegMedNet team, including webinars, news and journal articles.